Motley Crue’s new songs on the set — “The Dirt (Est. 1981),” “Crash and Burn” and “Ride with the Devil” — fit well alongside the classics found on the soundtrack. “The Dirt,” the first song that was released off the soundtrack, is a fast-moving, chugging rock anthem which features rapper Machine Gun Kelly, who plays drummer Tommy Lee in the film. The song’s lyrics “They never found a way to break us down / That’s why we’re still around” pretty much sum up the band’s legacy. How in the world did these guys live through all the antics depicted in “The Dirt” and come out not only still a band but still alive? Fate. “Crash and Burn” is a slower-paced, groovy rock tune that brings singer Vince Neil’s vocals to the forefront. With dirty production and a super catchy chorus, the song sounds like it could have been part of the band’s “Dr. Feelgood” album back in 1989. “Ride with Devil” is a guitar-heavy ditty with a near-country twang. With the lyrics “He’ll take your life away – I’ll take you away / Lost in your own world / Pay nothing for this ride,” this is almost a cautionary tale from the Crue. It’s as if they’re saying, “Don’t try this at home, kids.” Good advice. 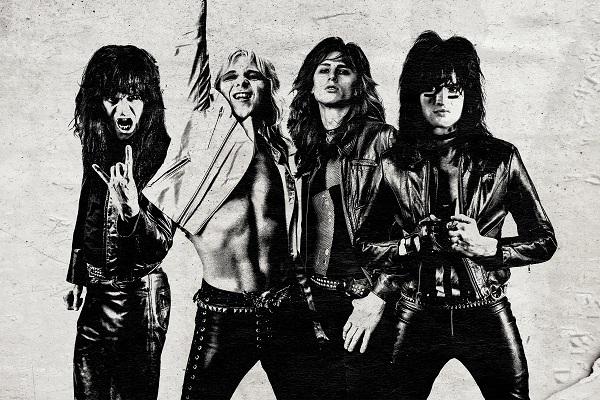 The rest of “The Dirt” soundtrack brims with Motley Crue classics. There’s a reason songs such as “Kickstart My Heart,” “Home Sweet Home,” “Looks That Kill,” “Girls, Girls, Girls” and “Dr. Feelgood” are still among the most played on rock radio. They’re fun, carefree jams, with outstanding guitar work, catchy choruses and unique personalities. With its lush, over-the-top riffing and party-happy lyrics, “The Dirt” soundtrack shows, one more time, why Motley Crue is America’s hair metal darling. Ink rating: 9/10.